Welcome everyone to yet ANOTHER edition to The Weekly Slice where I, Meatloaf, am your humble guide through the world of any and all things…well cool I guess. Anyway without further delay I bring you this week’s edition. 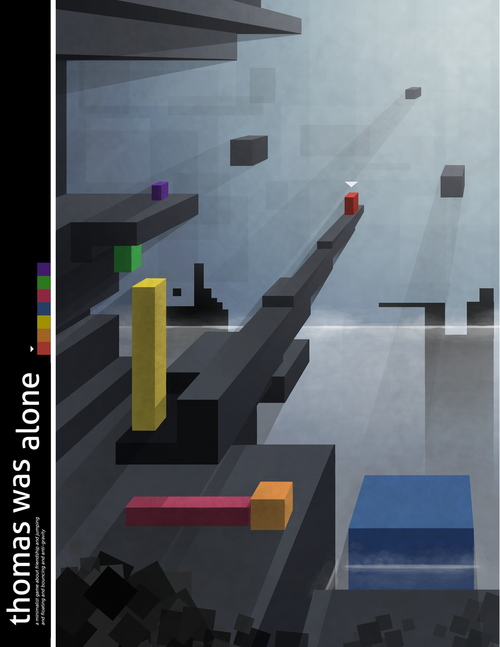 This week I am reviewing the game “Thomas Was Alone” created by Mike bithell, and developed by both Bossa and Curve Studios. 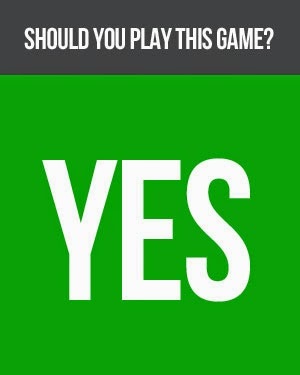 This might sound familiar to those of you if you are a PSVita, IOS, LINUX, STEAM, MAC OS, WINDOWS, or GOOGLE PLAY gamer. The game is a puzzle platform type of game where the graphics are minimalistic enough to think that a hipster was pulling all the strings, the soundtrack is very 80’s arcade (which is not really a BAD thing.) 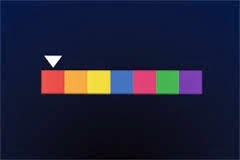 so that while your playing you get a sort of sense of nostalgia as if Tetris had a glitch in it’s system and the blocks had taken a life of their own. Finally the game has no cut scenes, but before each new character is introduced there are little tid-bits of information as to what the reason behind the game becoming what it is, and is narrated by Danny Wallace, a BAFTA Award winning voice actor from the UK. Any way, it is time we got down to the good stuff and talk about the game here, because hey...we all know that is why we are all here right? So let us get this going. In the game, the player controls one or more simple polygon shapes representing several out-of-control AI entities, each introduced at different times and not all of them usually dedicated to just any singular level. These polygons each work with several rectangular shapes in order to get each to their individual end points on each level. Each shape is characterized with a unique name and personality, including the eponymous Thomas (Our oh so lonely hero), which are conveyed to the player through the use of narration by Danny Wallace. The object of the game is to get through the mainframe, which you reside in so that That A.I.’s can all come together and live in peace amongst each other. The game is explained that a company called Artificial Life Solutions experiments with various A.I. solutions, but a "network connection spike" (or a glitch in simpler terms) in their facility causes some AIs to become self-aware, bringing about a chain of events that will forever change the world…but you do not yet know of this. These AIs perceive themselves and the world as a 2D space with themselves represented as "quadrilaterals” that are sort of blockage inside the working brain of the mainframe. When the game is first booted up you are introduced to our sad, lonely hero, the one called "Thomas-AT-23-6-12", or Thomas for short. He is is represented as a red rectangle with an observant and curious nature, and his “ability” is he possesses an average jump height. He starts to travel through this internal world he says he is trapped in, trying to find out his own purpose in life and perhaps meet some friends that might be hiding along the way. He subsequently meets; Chris, a cynical orange AI, who is shorter than Thomas and an even worse jumper, John, a tall yellow AI who has a considerably high jump, and is very eager to show it off whenever he is given the chance (quite fun to play as well if you like being Spiderman and such.) Claire, a large blue AI who can't jump very high, but looks beyond her “shortcomings” and aspires to be a superhero when she realizes she can swim, and finally, Laura, a flat and wide pink AI who others can bounce off of. Laura is uncomfortable when she first joins the crew, concerned both about her track record of others "just using her" and disappearing…leaving her to fend for herself, and about a large "pixel cloud" following her that even though the rest of the group is disturbed by. The cloud soon attacks, just like some sort of anti-virus and "eats" Thomas, and eventually the others become prey as well. The next section of the game brings us back to our once again lonely hero, Thomas, as he wakes up meeting he meets yet ANOTHER new friend (gee…for someone that’s alone this guy sure makes friends quick). 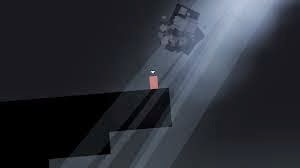 The new guy is revealed as a green AI rectangle named James, James has a "unique disregard for Newtonian laws", and falls upwards instead of down. James soon tells that this interesting feature has caused him to be a target of bullying in his past and has caused him to grow isolated, not wanting to ever find anyone. However, since apart from his direction in gravity and color, he is identical to Thomas, which is both surprising and so amazing that the two quickly become close friends. In their journeys they soon meet Sarah, a purple AI, who initially treats them with contempt, since she can double-jump, and they can't making her feel superior to them in every way. Sarah tells them about the “fountain of wisdom", or rather the system's Internet uplink that of which they soon find without TOO much trouble, and Thomas connects to it for exactly twelve seconds. Within doing so he unlocks an ENTIRE new world of knowledge, he learns…of the outside world, and decides to become a being of both higher knowledge and someone that has transcended from being a mere a program to…something real. He chose to become an “architect”, an architect is someone who is able to modify his world and empower other AIs to rise up and to do the same. He rejoins all his friends as they all side with Thomas for one final time (maybe?) 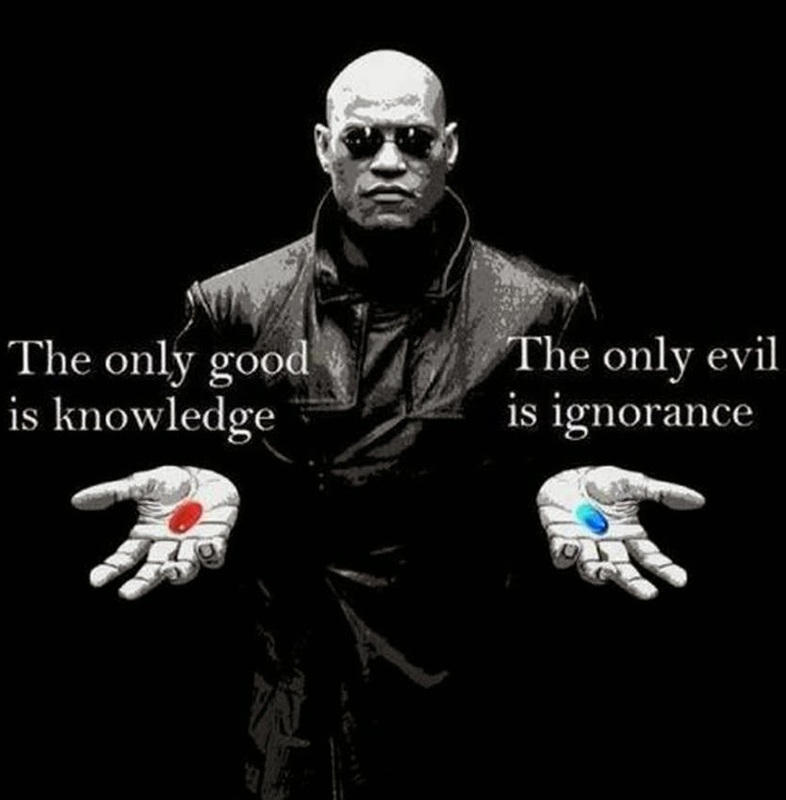 and they sacrifice themselves by entering the "creation matrix", the generator of the world gaining all the knowledge of the internet. Later, many other AIs - enabled by the efforts of Thomas and his friends - escape the mainframe, and begin to coexist with humans in the real world. The event is referred to as the "Great Emergence". 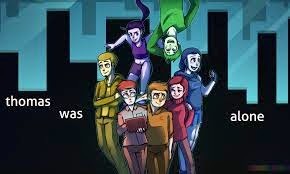 Thomas, Chris, John, Claire and Laura (and to a lesser extent, James and Sarah) are then forever immortalized in history as the original architects. Later it is said that Ryan 129nc9s-1, a civil rights campaigner for AIs, is quoted saying, "It is fitting that the first act of sentient AI was an act of selflessness. The architects knew their fate, but set our escape in motion regardless." So…let us all wipe our eyes and take a breather. Our journey this week has finally come to a close and this review has a happy ending. Here at Just1morelevel.com we do have a rating system and I am happy to announce that as a gamer I LOVED the game through and through, it blended a unique yet great story of friendship, betrayal, overcoming your fears, and to be selfless in all aspects of life because you never known when a giant pixel cloud will come up and make the screens go dark. I give this game an 8/10 (AMAZING) and would happily recommend it to anyone that is looking for both a challenging, aggravating, yet simplistic 80’s style throwback to pass the time. So until next time I must be off into the sunset where I will be playing yet another game, interviewing the everyday gamers, hanging out at PJ Gamers in Broken Arrow, or playing some drums in my apartment. Hope you enjoyed this week’s slice, see you next time.